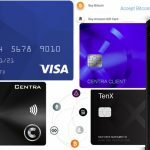 We had the TenX, Wirex, Monaco, Shift and ePayments as providers of crypto debit card that can be used to withdraw and spend cryptocurrencies on ATMs in different locations, and now we have MinexPay debit card. The debit card, which was launched by the MinexSystem, lets crypto holders to withdraw and spend crypto on any ATM globally except for countries affected by UN sanctions, unlike other operators who have vast restrictions regarding where to use the debit card. This is the major differentiating feature between MinexPay and other crypto debit cards. It works exactly like the ordinary or regular debit card by allowing users to pay online, make POS purchases and for ATM, withdrawals. The card is supported by VISA Master Card and thus works in more than 200 countries around the world. Once you load the card, the funds are available 24/7 and the balance is displayed in real time. Support for payment at retail outlets and ATM withdrawal could also make it viable for merchants. The withdrawal limits are $20,000 daily and $600,000 monthly. It can be loaded with crypto or fiat. A customer will also get cashback worth 1% of the transaction every time they make a payment. The pre-orders for the card took place last year and the company has sent the customers the cards. Spending crypto locally at local stores is not a straight forward process yet when compared to spending fiat, whether you are talking about converting it and spending it locally on goods and services or spending it to pay for goods and services on POS, and most people do not have access to other crypto debit cards. These are just some of the many reasons that have led to slow adoption and spending of crypto locally. Getting a debit card into the hands of many crypto users is one way that can make spending quite easy and ease out the payment and casgh-out process at POS points, which could increase mass adoption. The company announced public beta testing of their web wallet for Minexpay Crypto Cards on 10th December last year, but on Monday this week, the company announced that their crypto to fiat conversion feature on the Minex Web Wallet has started working. A user is able to connect the wallet with the card, and transfer their crypto into the web wallet, make conversions and then load the debit card from the wallet. This paved way for the full ecosystem that allows smooth crypto payments and cash-outs. 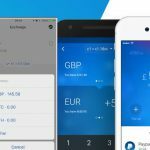 Already, several users from all over the world are spending, making payments and withdrawing through the debit card. Topping up the wallet with non-MNX cryptocurrencies costs 0 in fees. Basically you need to register at MinexPay.com, register, choose your tariff, and pay for the card. You pay for one card at a time only, but you can own more than one card: you return to pay for another once the first one is cleared. The card is sent after verification, which can take up to 6 weeks. The card is available in four different tariffs: Standard, Gold, Platinum, and Infinite. The Standard tariff card costs 2 MNX, which is equivalent to around $1, Gold costs 5 MNX, Platinum 10 MNX and Infinite 100 MNX or around $58 to buy. Each of the card also has different crypto-to-fiat conversion rates. The Standard tariff plan costs 2% to convert non-MNX cryptocurrencies and withdrawing it from the wallet into the card, Gold plan costs 1%, Platinum 0.5 and Infinite 0%. But ATM withdrawal fee is 3.5 EUR for all card tariffs. Using the cards at the point of sale terminals costs 0 fees for all cases. Topping up the wallet with non-MNX cryptocurrencies costs 0 fee. Topping up the wallet with non-MNX cryptocurrencies costs 0 fee. Also, a minimum balance is required for the three top plans (Infinite is 1000 MNX, Platinum 200 MNX, Gold 50) but is free for the Standard arrangement. Infinite tier users have a 98% overdraft limit. It is also possible to send back coins from the card to the wallet or exchanging it back to crypto but withdrawing the reserve balance means the card will be downgraded to Standard tariff that requires no balance to maintain. 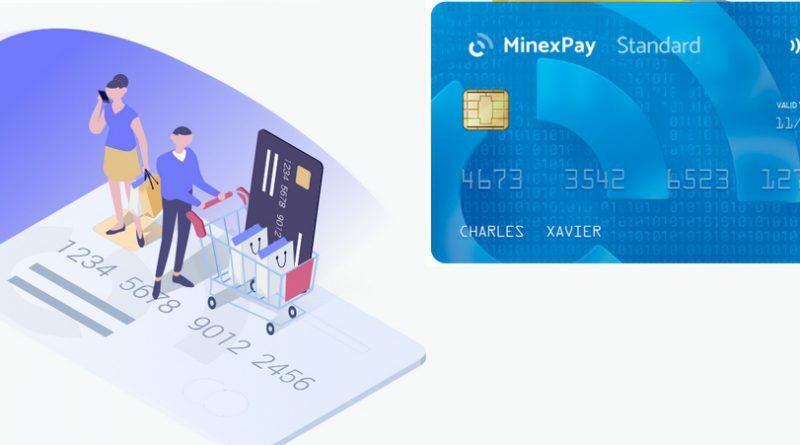 The MinexPay card is activated through the Minex Web Wallet. A customer logs into the web wallet and a list of all the purchased cards appears on their profile. You can use several cards in your wallet. A card bought will appear after the customer has received the card from the company and sends a selfie with the card attached to the original sheet that also mentions your tariff plan to hello@minexsystems.com, and gets a confirmation email. Once the card appears in the list, the customer must load the card with minimum balance amounts, which is different for different tariff plans with the minimum Standard tariff requiring no balance to activate. Replenishing with the balance amount (also known as the reserve balance) is done by the user sending MNX to the MNX address that appears on the “Replenish non-reducible balance” button on their profile in the web wallet. The balance is reflected on the wallet after at least 30 confirmations. The card then becomes active. Ideally this is the address you can use to receive and send payments to other users. To load the card, you click the “Receive” button and select the crypto you would like to withdraw or load into the card. The minimum deposit amount is 0.01 BTC or 1 MNX and this is deducted from the sent amount. Copy the address and send to this address from the wallet and wait for confirmation. The amount will appear on the balance. To convert to fiat, you select the crypto to convert and then convert: the minimum to convert is 20 EUR. The order is confirmed and after some time, loaded to the card. If already loaded, the card offers fast payments in a 3-seconds transaction over an ATM. The withdrawal fee is 0%, and it is easy to use and supports multiple fiat and cryptocurrencies. You not only save money but also avoid the multi-step withdrawals and verification. You can withdraw the money from the card on an ATM, pay for goods and services at POS that support VISA, and make online payments with the card on stores that support VISA. 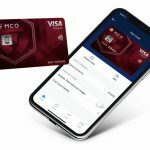 The card can also be used by merchants who are receiving crypto as payment for goods and services and for one reason or the other, are experiencing slowness to convert their crypto to cash or to goods and services they wish to buy. 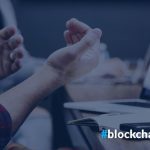 In some cases, it happens that merchants experience delays in converting their crypto, for instance with some merchant services. In some cases, it is tendious to do. The MinePay card lets a user to transfer crypto to the Minex Web wallet and to convert to fiat money to load the card. The web wallet allows users to also view all incoming, outgoing and conversion transactions. As I have already described above, this is done by selecting the crypto a user wants to convert to fiat and then converting to that fiat. The conversion rates depend on the tariff plan of the card and is deducted from the EUR amount. Again, as an incentive to accelerate crypto spending and adoption at local stores, those using the card to pay goods and services at POS terminals get cash back, which is transferred once a month to their fund account. There is no annual maintenance fee but a charge of 65 USD applies to all cards that are not used even once during the year. This applies for all cards but the charge is not deducted from the reserve account. Users who wish to discontinue the card can withdraw funds from the card but will need to pay 65 USD to make the withdrawal. For cards that require minimum balance, the card is suspended after one year. Conversion fee ranges from 1% to 4% depending on the tariff plan of the user and the amount of MinexCoin a user holds. The higher the amount held, the lesser the fees. The wallet can also be used as a regular crypto wallet for sending and receiving crypto. People using the wallet can transact with each other instantly and without paying fees. Minexpay/Chain2pay is illegally using,without Upaycard and Mastecard knowledge, Lithuanian company UAB KRISTOLINIS DUGNAS account on Upaycard to issue business cards,falsely presenting Minex/Chain2pay customers as UAB KRISTOLINIS DUGNAS employees.Issuing non-branded payment cards and using other,shell company( UAB KD,no real employees and revenues) for it, Minex/Chain2pay not just violating Upaycard and Mastercard rules and regulations,but also AML laws,recklessly putting money of theirs customers at risk,because payment cards can be cancelled any time without prior notice. Despite Upaycard restriction about issuing cards only for EEA residents,Minex/Chain2pay are giving them to everbody,using false EEA residence documents for customers who live outside EEA. Wow, is it customers who give them the documents or the company does for them?